This Valentine’s Day weekend, whether you’re single and looking for something to take your mind off of romance or you’re having trouble thinking of a fun, outside-the-box date-night idea, we’ve got you covered. The National Theatre of Scotland presents the North American premiere of this theater piece, based on the life of star Adam Kashmiry, a transgender man born in Egypt. 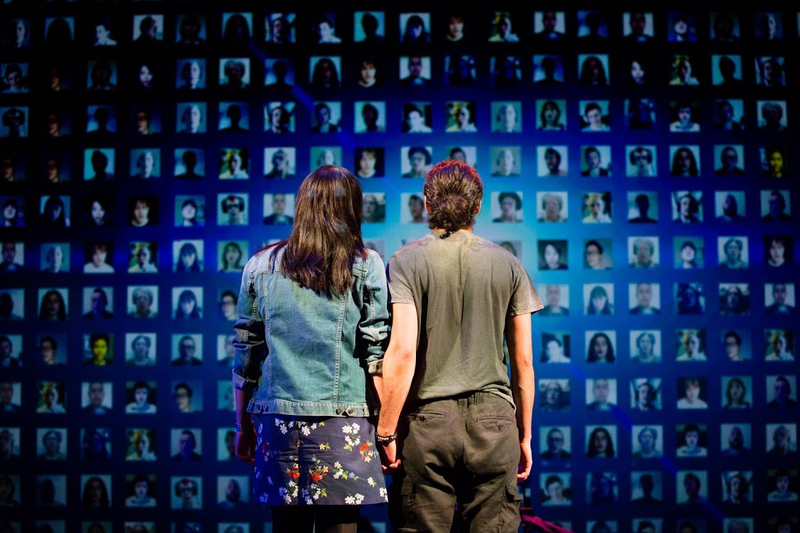 It features a virtual choir of trans and non-binary people from around the world. Enjoy a night of talks, music and trivia to celebrate the opening of the Library’s exhibition “Love & Resistance: Stonewall 50,” celebrating the 50th anniversary of the Stonewall Riots. The reception will feature a Drag Queen Story Hour, listening stations from the NYC Trans Oral History Project and after-hours access to the exhibition. Named one of the best comedy shows in NYC by The New York Times, New York Magazine and Time Out New York, join host Lane Moore as she swipes through Tinder live on stage. She’s joined this week by Jo Firestone, Jean Grae and Sam Grittner. This monthly event showcases formerly incarcerated people presenting their artistic work, including poetry, music and film. February’s installment, devoted entirely to work by formerly incarcerated women, includes a conversation between host and journalist Allen Arthur and activist Elaine Bartlett. Time: doors at 3:30 p.m., event at 4 p.m.
Comedians Michelle Buteau and Jordan Carlos welcome a changing slate of guests to talk about the trials and tribulations of adulthood. Early show features Hari Kondabolu, Yamaneika Saunders and Heléne Yorke; late show features Saunders, Sam Jay and Joyelle Nicole. Time: early show: doors at 4:30 p.m., show at 5 p.m.; late show: doors at 7 p.m., show at 7:30 p.m.